Quick! Grab your peashooters and tall-nuts because this zombie is getting ready to invade your backyard! Well, after he finishes chomping the scrumptious brain already in his possession, that is. 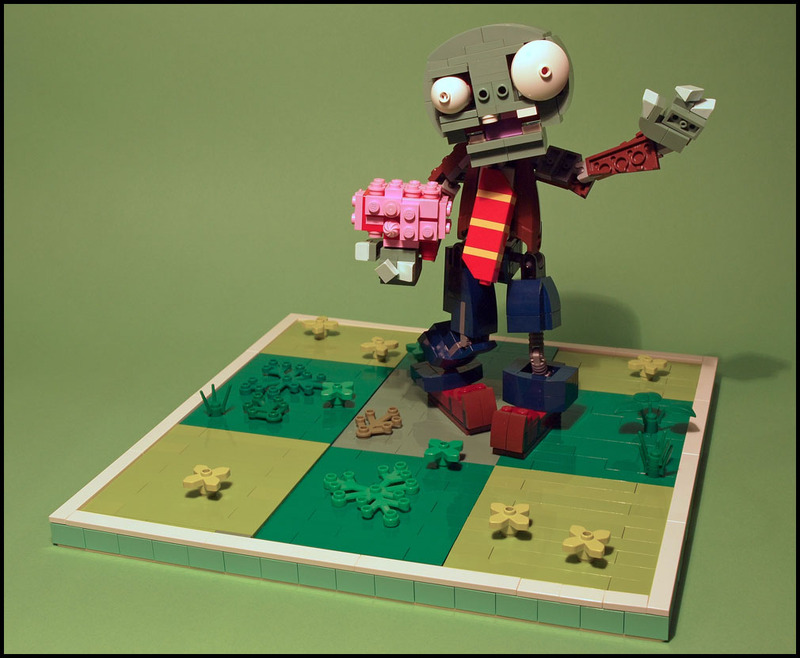 Grubaluk built this iconic zombie from the Plants vs. Zombies games and the details are darn near perfect. Check out that stylish business attire, exposed left knee-bone, and a face only a mother could love. Grubaluk even included the finely manicured, lawn-striped grass from the game in his base.